Is most modern Irish politics just play acting? A political activist once criticised me for claiming that I didn’t watch any of Ireland’s current affairs programmes, or at least very little of them. He said that if I didn’t watch them, how could I claim to be informed? It was a fair question until you actually watch those programmes, and see what passes for political discourse in Ireland. Compare, for example, one of those shows to an earlier version broadcast before the 2011 general election. In the pre-election show, you would have seen the government representative defending cuts in social spending as painful but necessary, and he would wax lyrical about how the government was trying to protect that never-defined mass, “the vulnerable”. The opposition would then put on the Anne Hathaway of tear jerking pleas for compassion and scowls of “have you no shame” for these “reprehensible” cuts? Two years later, it’s the same show, only the people on one side of the studio have moved to the other side of the studio. The actual scripts remain in place, and here’s a prediction: after the 2016 general election, the script will be the same, only the players will have moved. How can I claim to be informed, eh? Informed? I can even predict the future! But that’s not the worst of it. Here’s the worst: there was a debate recently in the Seanad where a motion of no confidence in the minister for justice was proposed. Not only was it never going to pass, but even if it had passed, the Seanad does not have the power to sack ministers, so the whole exercise was just a load of grandstand posing. Oh sure, those involved will claim that they were “raising issues” and “contributing the the national debate” but would we have actually missed it if it did not happen? Where else in life, short of modelling, does standing around striking poses count as working? Imagine a guy stacking shelves in M&S (hat tip to my generous sponsors!) not actually stacking shelves but calling for shelves to be stacked, or urging that shelves be stacked. In other jobs, people actually have to do stuff. Only politicians regard this nonsense as work. Now, Ireland isn’t unique in this. Across the world, more and more time is wasted by politicians doing things to fill time, making speeches that don’t matter, proposing motions that do not actually do anything, writing reports that don’t change anything. In fairness to Irish politicians, they do genuine work in their constituencies, but the only reason their constituents actually need help in the constituencies is because the politicians don’t fix the national systems so that citizens can interact with the state without a political chaperone. Which, in a form of Political Munchausen syndrome by proxy, politicans don’t want to fix because they want to be needed by their constituents, like demented parents deliberately makng their children sick so that they can be validated by caring for them. But it does beg the question. Do we actually need all these full-time politicians? Aside from the front benches, is there not an argument for making (and paying) backbenchers as a part-time job? Would we honestly miss them? Stephen Fry runs the world, apparently. The future of the Atlantic Alliance? 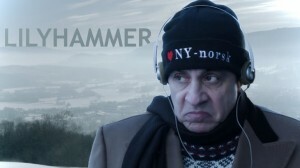 Although “House of Cards” has taken all the kudos as Netflix’s big debut into creating original content, the joint US-Norwegian (I’m not joking) comedy-drama “Lilyhammer” was actually their first show. Fronted by ex-Sopranos (and current E-Street band member) Stephen Van Zandt (You’ll know him when you see him) the show is a bi-lingual take on a Witness Protectioned gangster moved to Lillehammer in Norway, and his efforts to both fit into his new home and life whilst flexing his criminal experience to resolve problems. The makers have dealt with the language issue in a very straightforward way, with Van Zandt’s “Giovanni Henriksen” learning Norwegian early on, and so conversing in English but understanding Norwegian. The cast switch quite easily from one to the other, and it’s actually easier to follow than say “Borgen” where non-Danish speakers are rivetted to the sub-titles. It’s a fun show, with a hint of The Sopranos in Snowshoes, and is certainly added to by the striking landscape and setting that features prominently in each episode. Patriots in Fianna Fáil and Fine Gael should be talking to each other about an FF/FG coalition. Picture the scene. It’s the week after Election 2016. Both Fine Gael and the Labour Party have suffered very significant losses, depriving the coalition of a majority without the support of a large number of independents demanding expensive special treatment for their constituencies. Sinn Fein have won enough seats to form a majority with either FF or FG. And suppose Labour have taken such a battering that they do not wish to go back into another government. In such a situation, it is hard to imagine Michael Martin honestly claim that Sinn Fein is closer in values than FG, and that FF is more comfortable in the company of former terrorists with a left wing economic platform, or that FF has a bigger problem with Alan Shatter as justice minister than Martin Ferris. Is there anyone who really believes that if one room held four FG negotiators, and another four Sinn Fein ones, that an FF team would actually have an easier time negotiating a programme for government with SF? And no, just repeating the vague and shapeless shibboleth word “republican” does not actually count for anything. Can anyone name what exactly would be the fundamentally intractable legislative problem that Michael McGrath, Michael Noonan, Willie O’Dea and Phil Hogan would be incapable of overcoming, jackets off, around a table? That’s not to say that it will be easy. There’s a lot of history on the table. But that’s all it is, and if there are men or women in either party unwilling to put that history aside in the interest of forming a centrist progressive government with solid democratic credentials, they are not patriots and have no place in either party. Sensible people in FF and FG should be quietly preparing the ground behind the scenes, and making sure that neither party says anything stupid which they might have held against them in a post election scenario. Yes, we are potentially years away (assuming Labour doesn’t have a nervous breakdown) from an election, but this needs patriots in both parties to start thinking the unthinkable, from policy issues to an eventual constituency pact, because neither parties’ historical hangups overrule Ireland. Could Google Glass change Western society? See, I didn’t see a pair of glasses with access to the web or the ability to take pictures or video. I saw a total surveillance system recording daily interactions in the workplace. Just think for a moment about the effect such a system would have in sexual harassment cases, or teacher discipline, or allegations of police brutality. Picture the husband about to beat his wife as she looks at him through her glasses. Even a barked threat to her to take them off becomes a recorded piece of evidence of the truth in a situation, especially if the glasses are uploading the images and therefore destroying the glasses does not eliminate the recording. Ah, says you, but people are smarter than that. People won’t say or do things if they are being recorded. But that’s the point. Not if they are being recorded, but if they think they are being recorded. What will be the effect of potentially living in a Total Surveillance Society? Consider the scenario five years from now, when the technology is widespread, and Google and their competitors have partnered with fashionable glass manufacturers and shrunk the technology even further, when you no longer know whether the person you are talking to is actually wearing Google Glass. Yes, companies will have protocols about people having their glasses “on” but the reality will be that someone summoned to meet the head of HR or their boss will want to record it. Indeed, given that people have a right to a witness for meeting like this, I would have thought a judge would endorse the right to have your glasses operational at meetings of that nature. Now, it’s true, people could be recording these meeting on their smart phones now, but even that’s not the same. Knowing that what you are saying to a criminal suspect or a student or an employee could be uploaded as a piece of footage within minutes of you saying it will radically change behaviour, or destroy those who don’t change theirs. In short, this has the potential to be a massive social game-changer. So, what does that poll really tell us? 1. Fianna Fail topping the poll is not a huge deal, but will do great things internally for party morale. The actual number of 25% is respectable rather than earth shattering. But it certainly does indicate that the party’s toxicity is wearing off. Will the next election be the first where no party does not have some level of transfer repellence? FF with the IMF, FG with the pro-life issue, Labour with, well, being Labour, and Sinn Fein with blowing up people (probably the last election this will apply)? 2. Fianna Fail and Fine Gael, two moderate minimum-change conservative parties hold 52% of the vote between them, confirming that most Irish people are not unhappy with the political system they have. This is a conservative petit-bougeois country. 3. Labour could, ironically, find themselves in the most powerful position after the election, despite losing the most seats. FF and FG do not want to share power for tribal knuckle-dragging reasons (which will be dressed up in a pathethic attempt to hide with makey-up ideological differences. “We believe the Earth rotates. They believe the Earth revolves!”) nor does either really want to be the first to bring Sinn Fein in. Secondly, there is no guarantee that SF (particularly their southern members) want to be in power as second banana to either. Labour going willingly into opposition will either force an FF/FG coalition, finally uniting the right, or get Sinn Fein off the opposition benches clearing them for a left recovery. Either way, Labour’s long term interest is to remain in opposition. Unless of course, Labour’s senior people had the audacity to put cabinet ambition ahead of the long term interest of the party. Cough. 4. The high Independent vote has the potential to be a very bad thing for the country, because, and this is my humble opinion, it is not a vote for National Independents (Ross, Donnelly, Boyd Barrett) but a return to the “Get what you can for the parish from that crowd in Dublin and F**k everybody else!” and we haven’t got the money for that nonsense anymore. 5. Where the f**k is the Irish Left? The ULA on 1%? Seriously? Worst crisis in Irish capitalism since the 1913 lockout and this crowd are busy fighting each other? Where is the young charismatic leader of the left who sounds serious about winning power and doesn’t sound like she’s escaped from a 1970s timepod? An Occasional Guide to Irish Politics: The self-destructive government TD. Twelve months in, she has that glassy look in her eye when talking to supporters. They remember her on the doorsteps, full of passion and integrity. She was THEIR woman, who was going to go to Dail Eireann and shake up the place and not put up with all that nonsense that went before. Now, as she brings them into the Dail bar, she can barely look them in the eye. The saddest thing is that she hasn’t cheated them. When she now votes for cuts and against things she campaigned for in the constituency, she’s mortified. She knows she’s letting them down, and they know she knows too. They can see how tired she looks, the bags under her eyes, the fact that when someone walks up to her in the constituency and berates her, an almost daily event, she just stands there and takes it like a scolded dog, ashamed. Occasionally, she’ll mumble something about “the whip” but her cheeks redden when she throws that old chestnut out. The whip isn’t legal, just a self imposed restraint that TDs cling to, and she doesn’t believe it anyway. She can vote for or against anything she wants, and nobody can stop her, and it’s that which she remembers as she drifts off to sleep and recalls first thing when she awakens. There is no whip. There’s only her. In the back of her head a tiny voice asks “why are you doing this?” She was never on the radical wing of the party, just a pragmatic problem-solver, and so the idea of rebelling goes completely against her nature. But the little voice tells her to look at the polls and recognise that she and dozens of other silent obedient backbenchers are slowly marching towards a humiliating ejection at the next election, and for what? So that the old men in the party get to be ministers and save their seats and get pensions? Whilst she gets humiliated at the count and gets talked about for years later by her friends and neighbours as “Wasn’t she a TD once? Yeah, but she wasn’t very good. Went up to Dublin and we never heard from her again.” She is actually willing to trade her dignity for the careers of her party betters, which is a certain form of selfless nobility, in a way. I don’t expect a lot from President Obama’s second term. But even having him as president is enough. Let’s be honest: not a lot is going to happen with Obama II. It’s not a reflection on the president, but the truth is that, with the exception of immigration and maybe gay marriage, there is simply not much he can afford to do. This term will be about economic consolidation. That’s not to say that his eight years will not be regarded as historic. 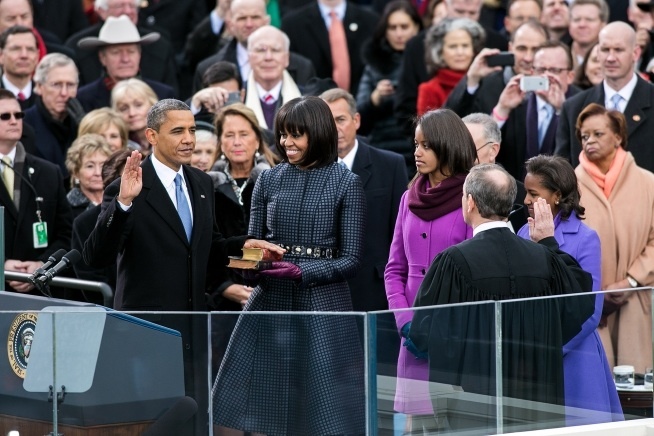 From first black president to healthcare to the end of Don’t Ask Don’t Tell, to General Motors and Bin Laden and coupled with reelection, barring major upsets his legacy is safe. Having said that, he might have an additional opportunity to appoint liberal judges to the Supreme Court. But the big stuff? Forget it. But that’s ok, and here’s why: when he leaves office in 2017, gay marriage and immigration as issues will probably be settled, and the Republican Party will be heading back towards the centre. Imagine, on the other hand, if Mitt Romney had won last November, confirming every prejudice the far right had about how they spoke for the real America and that the president had just been an anomaly? The fact that he was strongly reelected, despite a huge effort by some to paint him and his values and supporters as unAmerican, is the final piece in the Obama legacy. That his values are not those of some radical elitist, but what those of us who regard ourselves as centrists always knew. That he spoke for that great value, American decency, and we’ll take another four years of that, thank you very much. Does Ireland need a “Borgen” government? One of the interesting features of the acclaimed Danish political drama series “Borgen” is that the prime minister, Birgitte Nyborg Christensen, does not have a majority in the Folketing, the Danish parliament. This is quite normal in Danish politics, and means that the government has to interact with parliament and the opposition parties in order to get legislation through. This involves debates, compromises and occasionally accepting opposition amendments and bills that the government would ignore if it had a majority. The flip side of this is that the serious opposition parties, whilst occasionally proposing bills, have to be careful because there is a chance that their bill could become law, and could effect Danish voters despite the fact that they are not in government. As I watched this, I wondered would such a scenario really be such a bad thing in Ireland? Supposing FG and Labour lost their majority at the next election. Now, it’s true, we have been here before, when the first Ahern administration was propped up by independents demanding stuff for their constituencies. But that was when we had loads of money. Would Irish voters be as easy on a government in the current climate which gave in to similar electoral blackmail now? I’m not so sure. I could be wrong, but given that pain is now so widespread, I suspect that blatant pandering to one area over another might cause a government as many problems as it solves, especially with its own backbenchers who will be labelled as useless in their own constituencies. But look at the other option: remember the Tallaght strategy. Supposing FF or even Sinn Fein in opposition abstained on electing a minority government in return for week by week negotiation on legislation and the budget. I’m not sure that would be the worst thing in the world. Some will say that we need “strong” government but that’s actually rubbish: The US president has no guarantee over what gets through Congress. What’s wrong with a government actually having to debate and argue and negotiate in the Dail? Isn’t that what it’s for? Of course, this all assumes that FF and SF (or any party in opposition, in fairness) change the opposition mind set and become parties that actually want to get things done. Both parties have introduced interesting bills. Do they regard passing those bills as a worthwhile endeavour, or is the priority of opposition parties just to trigger general elections as often as possible? That is the question that will need to be answered. As for the voters, will they appreciate a responsible opposition that actually gets to legislate. Probably not. If anything, such a measure will probably help the government, because it calls the opposition’s bluff. Did it help Alan Dukes in 1989? Some say no, but he gained seats, winning 55 seats in that election, a tally of seats that in recent pre-2011 times would be regarded as a very respectable haul for Fine Gael.